We have a wonderful story to share celebrating the goodness of God and the faithfulness of His people in the Heart of the Tennessee Valley. 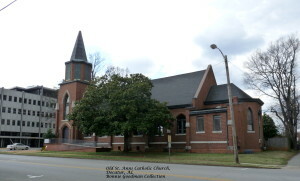 Our story begins in 1871 when with the help of the Benedictine Community at Saint Bernard in Cullman, Saint Ann Catholic Church was established as a mission of Our Lady of the Shoals Parish in Tuscumbia, Alabama. This newly established Catholic community grew on the banks of the Tennessee River and gradually became a parish erecting a church on Vine Street in 1891. As Morgan County and the surrounding areas grew with the development of commerce and industry along the Tennessee River, so did the parish of Saint Ann. In 1900 the Catholic community bought property for a new church and school on the corner of Johnston Street and Fourth Avenue. By 1906 the construction of the new church was completed. The parish worked to reduce its debt and was able to add a rectory to the facilities in 1941 and to open the county’s first Catholic elementary school in 1955. The facilities on Johnston and Fourth Avenue were renovated and expanded numerous times to meet the ever changing needs of the parish family. As the southern portion of the county began to grow in the late 1970’s, a group of parishioners petitioned Bishop Joseph Vath to establish a mission church in Hartselle. With the purchase of five acres on Pickens Street, Holy Family celebrated its first Mass on December 24, 1981. The mission grew rapidly and a parish hall with classrooms was added in 1993 with the help of the Catholic Extension Society. 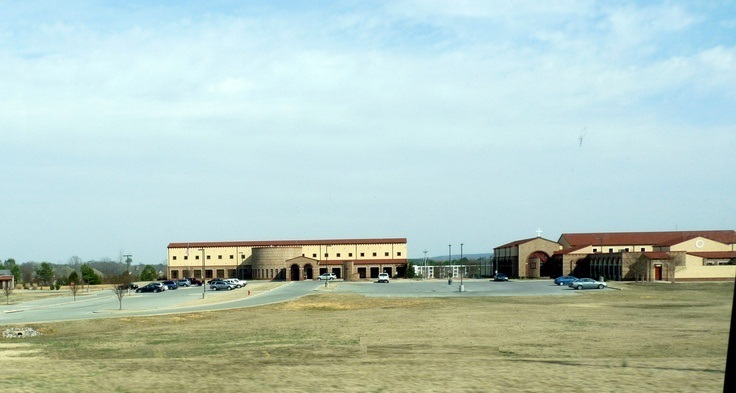 In late 1995, the parishioners of Saint Ann and Holy Family again began to explore the possibilities of erecting additional facilities to better serve the growing number of Catholic families with children and the increasing number of new Hispanic workers and families moving into the valley. At the direction of Bishop David Foley, the parish councils of Saint Ann and Holy Family established a Long Range Planning Committee to address future facilities and capital expenditures. In 1998 after much research; feedback from parishioners; input from the Diocesan Priests’ Council, Consultors, and Bishop; and many prayers, the Planning Committee recommended that future expansion take place at one new location to serve the needs of all Catholics in the county and surrounding areas. The two parish councils unanimously supported the recommendation and began the process of selecting property and merging the two councils into one Pastoral Council. The Pastoral Council recommended to the Bishop the selection of names for the new parish with the parochial school continuing as Saint Ann and the future Parish Life Center being given the name Holy Family. The Bishop announced the new name for the parish on July 4, 1998, establishing the Church of the Annunciation of the Lord. The property for the new parish was purchased on Spring Avenue in 2000. 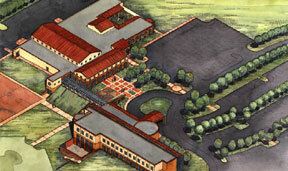 The Steering Committee selected Davis Architects of Birmingham to design a master plan for the new site with phase one consisting of an education center and a parish life center. The land for the new campus was blessed on April 13, 2002 with Woodward Construction of Hartselle, AL beginning construction shortly afterward. The construction cost for Phase One totaled $6.5 million with a total cost for the project of $8 million. In June, the City Council of Decatur established an Education Authority to support bond financing for the new school in the amount of $3.5 million.